The Prepaid365 Awards 2015 winners will be announced on 1st June, 2015. Announcements will be made online and via Prepaid365 official social media channels. This year’s award survey will be sent to over 2 million consumers who will vote across 28 consumer categories with 2 business categories being voted for by the Prepaid365 Awards team in conjunction with independent prepaid industry adjudicators. The deadline for award entries is 20th February, 2015 and all entries should be sent to divya@prepaid365.com prior to the deadline. Additional information with regards to the award categories, entry criteria, sponsorship opportunities as well as awards timelines can be found in the Awards brochure. The awards are open to all prepaid card providers that provide a prepaid card proposition or function as a programme manager. Whilst focussing mostly on UK providers, there are a number of categories which are open to International prepaid card providers and products too. The Prepaid365 Awards 2015 sees the introduction of 8 new categories, with additional categories being added to the growing travel and mobile prepaid sectors. In 2015, we will recognise winners in 30 different categories which include 23 Consumer Categories, 2 Business Categories and 5 other general categories. To enter the awards, simply fill in the awards entry form which can be downloaded here in PDF and Word Format. Whilst all consumer and award categories are judged solely by consumers, the 2 business categories are judged by the Prepaid365 Awards team in conjunction with independent prepaid industry adjudicators. The adjudicators for the 2015 Awards Business categories will be announced shortly here. Please find below additional details with regards to the Prepaid365 Awards 2015. If there is information within that you are unable to find, then please drop an email to the Prepaid365 team. Deadline: All entries are split into two parts. Part A of the entry must be received by 5.00pm on Friday, 20.02.15 and Part B must be received by 5.00pm on Friday, 13.03.15. No entries will be permitted beyond these dates and entries where Part A has not been submitted will be invalid. Awards Entry: All entries must be submitted using the Awards entry form. Please make sure that your form is complete and you have selected the categories that are most appropriate for your entry and also signed the authorisation declaration. All competed entries must be sent via email to divya@prepaid365.com and must be received by the deadline stated above. A copy of the completed form may also be sent to the address below but is not a mandatory requirement. Awards Sponsorship: The Prepaid365 Awards provide an excellent opportunity to raise brand awareness and reach and also raise social media interaction with consumers. If you would like to find out more about sponsorship opportunities at the awards and social media competitions and are keen in raising your profile even further amongst consumers, then do get in touch with Amit at amit@prepaid365.com and we will advise on which the sponsorship opportunities that are still available. Payments: Invoices will be raised upon receipt of your Awards Entry form. All invoices need to have been paid by 26.02.15 or your entry will be marked invalid. Your entry can only be processed as being part of the Prepaid365 Awards 2015 once the form and payment has been received. Images and Evidence: Please submit all card images and logos in 300 DPI JPEG/PNG format where possible as these will primarily be used to create web collateral. If in doubt, send us the logo and images and we should be able to advise if it is suitable. All evidence and supporting material submitted as part of your entry (especially for business and other categories) should be submitted in both electronic and paper format. Awards Announcement: The Prepaid365 Awards 2015 will be announced on 01.06.15 and a general press release will be issued on the same day. All winners will be required to provide a quote for this general release. See 2014 general release here. Winners and Runners Ups: All winners and runners ups will be advised of their success by 25.05.15 (1 week prior to the Awards announcement on 01.06.15) to allow for appropriate PR activity to be planned. All winners and runners up must provide a quote for use within the official Prepaid365 Awards PR no later than 29.05.15. The Prepaid365 Management team will be happy to provide a quote for such activity. These press releases need to be embargoed till 02.06.15. The award decisions are final and no correspondence or discussion will be entered into with regards to the awards. Award Certificates: for display and framing. Winner Badges: in different formats which can be used in marketing collateral, on websites and in email communication. Vector formats of the awards logo will also be made available. 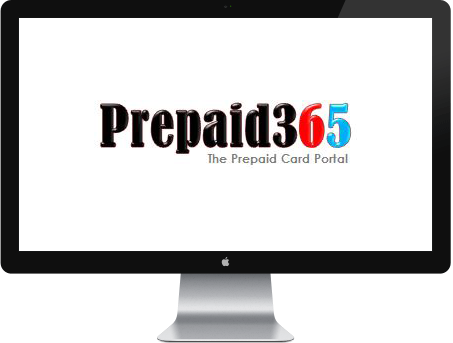 Features: Winners will be featured on individual pages within the Prepaid365 Awards Website and winners may feature in articles produced by the Prepaid365 Team following the awards. Entries can be withdrawn at any point up to 28.02.15 by submitting a written request. Please note that entry fees are non-refundable. Entries received after the closing date on 20.02.15 cannot be included in the awards under any circumstances. Entries which are incomplete or have not had the accompanying payment made or do not have a signed entry form to accompany them will be deemed unacceptable. In all such instances, please note that the entry fees are non-refundable. All material submitted as part of the awards will be maintained in the strictest confidence. We reserve the right to allocate an entry to a different category or in more than one category if appropriate. You will not be charged anything additional if this decision is made by the Prepaid365 team.